Family Talk is an iPhone app developed byApptizer. 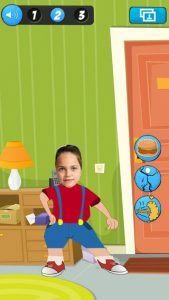 If you want to create funny virtual models of your friends and family, this funny app lets you do just that. 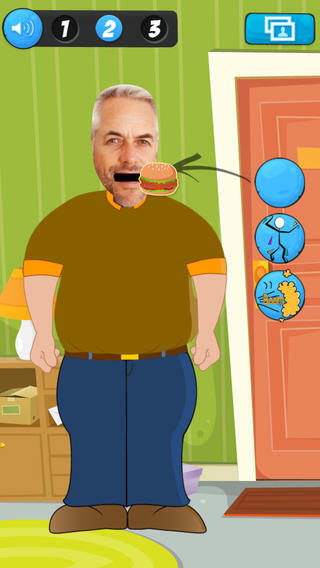 Family Talk lets you take a picture of someone, animate their mouth, and then make them do all kinds of funny stuff. You can make your friends look like they are eating, passing gas, dance, or talk. 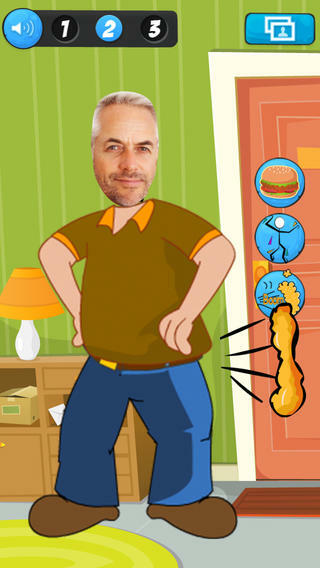 In essence, you are creating a funny, virtual version of your favorite family member or friend. The set-up process is super simple. First, take a picture with the built-in camera (making sure that the face lines up with the on-screen guides.) Next, line up the markers on the face to help simulate realistic mouth movements. Next, choose the body for your character. There are adult male and female bodies, as well as a child’s body. Far and away the best part of this app is seeing your character dance. The music is short, but the dance animation is really jerky and funny. It would be great to make one of these characters with the face of a grandparent. Updated just a couple of days ago, Version 1.0.1 of Family Talk has put the kibosh on a number of bugs. Now that the app has been updated, it runs a lot more smoothly! The camera functionality is zippy, and I experienced no crashes or bugs during testing of this version of the app. 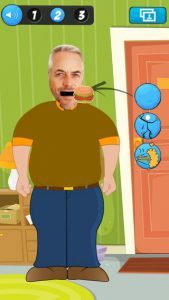 In short, if you are a fan of JibJab or other sites where you can plaster the faces of your loved ones onto cartoon bodies, then you should definitely spring for Family Talk. I do wish there were some additional actions that the character could perform, but all in all this is a good casual entertainment app for families. With the holidays right around the corner, this app would be a great way to connect with your family and keep awkward silences to a minimum at your holiday gatherings! Family Talkrequires iOS 5.0 or later. Compatible with iPhone, iPad, and iPod touch. This app is optimized for iPhone 5.